I’m voting for Mariko Yamada for state Senate and I hope you will, too. I first got to know Mariko Yamada after she had won her first election to the Assembly. At our first meeting after her election she was gracious and said she looked forward to working with me and accepted my invitation to tour Benicia and get to know our town. Because of her support for Benicia and her unfailing public service, I consider Mariko one of the most decent, dedicated and hard working elected officials I have known and worked with. An example of her character is her effort on the Benicia Arsenal and the imminent orders to clean up being considered by the Department of Toxic Substance Control. While others with great interest in leaving things alone raged against the state officials, Mariko showed her true mettle. It would have been easy for her at the large stakeholder meeting — including many property owners who had been told by others that the state was coming after them — to have remained quiet or muttered “we will look into this.” But instead Mariko had done her homework, knew that there were legacy hazardous materials in the lower Arsenal and that it was a public health issue. And so she said publicly that for the sake of the public health the area needed to be cleaned up. She tried, although unsuccessfully, to get money from the state to help the city and private property owners. Her life has been an active and heart driven commitment to insuring all Californians share in the rights and opportunities of our California. She is someone who listens intensely and with compassion to the needs and aspirations of others and then takes action as demonstrated by authoring over 31 bills signed into law and more than 1,600 constituent cases that came to her office resolved or mitigated by her staff. 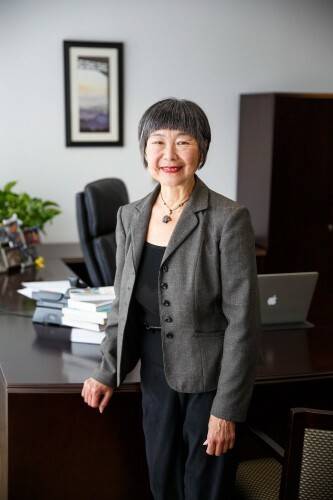 Mariko has given more than 40 years to public service. With her background as a social worker, then serving as a Yolo County Supervisor and state Assemblywoman she has a deep grasp of the issues facing families in raising children and caring for aging parents. She developed the Volunteer Income Tax Assistance program which in Yolo County grew from $200,000 a year to $2.1 million in her final year in the state Assembly. This program assisted local families. In the Assembly she served as the Chair of the Aging and Long-Term Care Committee and was a member on a variety of important committees such as Labor & Employment, Housing and community development and Sustainable & Organic Agriculture. She’ll combat climate change and support efforts to reduce carbon emissions that put the health of our children and our local economy at risk. Mariko has been a consistent and vocal opponent of the governor’s Delta tunnels proposals, and will continue to oppose efforts to deprive our region of scarce water resources. She’ll protect seniors against credit card fraud, instead of letting big banks off the hook. Mariko supports making the first two years of community college free for every California student who meets the requirements. Mariko Yamada has the experience and ability to make a difference in our lives and future as state Senator.